Pixie is the farm show off . 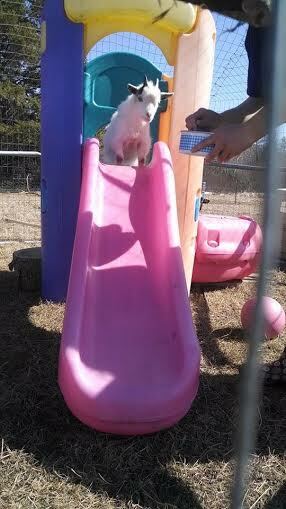 She will was born June 2013 and moved to the farm the spring of 2014. 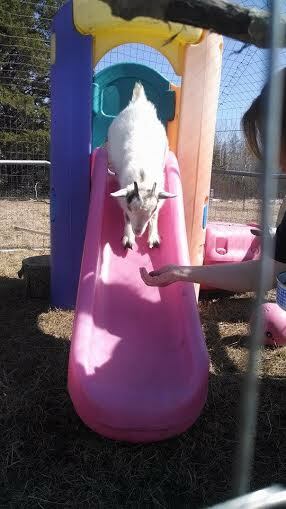 Her favorite trick is to go down the slide on her playground for treats. 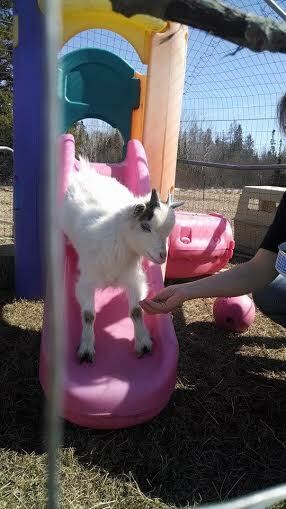 Pixie is a pygmy goat and her partner in crime, Pepper, is catching on fast. They are real talkers (especially at feeding time) and they are really fun to play with.